Difficulty in video games can be a delicate matter. It isn’t only about making the protagonist vulnerable to a few hits, having enemies with huge health bars and tremendously strong spells, or creating a level with insane platforming. It’s about how you introduce the player to the game, how you present a taste of what’s to come. Most importantly of all, though, difficulty guides and teaches the protagonist what to do along the journey. A video game can be more helpful than necessary, giving you too many hints and indications of where to go, which removes any aspect of a challenge. In the same way, a game can elect to be completely heartless by refusing to explain anything to you. This can be utterly frustrating, but it can also be executed brilliantly. Between the extremes lies a grey area, though, and some titles have found the perfect balance within it. FromSoftware’s Demon’s Souls believes in your capacity to understand its unwritten rules and evolve as a player. No unnecessary help will be given to you, because Demon’s Souls respects you; Demon’s Souls believes in you. The tutorial is brief. A few basic enemies, some messages on the floor with the controls, and then it ends abruptly. Vanguard, the first boss, will kill you. Technically speaking, you can defeat him. However, unless Demon’s isn’t the first Souls game you have played, or you are a super skillful player, it probably won’t happen. It’s designed for you to lose—at least in your first playthrough. 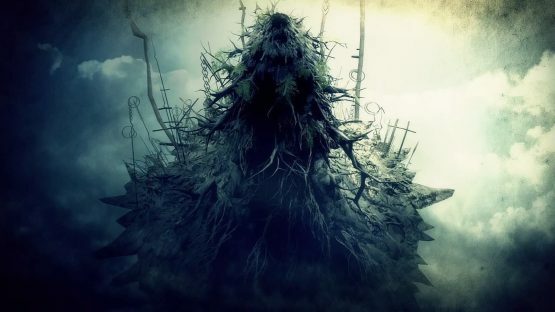 You might think that the FromSoftware team behind the game designed it this way in order to laugh at you, and they probably did. However, this was actually the perfect way of showing you the core themes of the game in just a couple of minutes. You will fight against nightmarish creatures with much better abilities and mobility than you. You will die dozens of times. Playing any Souls game is a commitment and requires a lot of patience, so I can’t possibly think of a better way to introduce a new player to the series than to make them die as soon as possible. When you wake up in the Nexus, which is the hub of the game, you are introduced to the Maiden in Black—a blind woman who seems to know many more things about the game world than you. Before long, you will realize that this unassuming woman is a being of inconceivable power, but for some reason she has lost her sight and has chosen to protect the Nexus. Near the Maiden in Black you will encounter Stockpile Thomas, an anxious man who lost his wife and child due to the events of the game. He will immediately set the mood of the adventure, as he is the epitome of the NPCs you’ll meet as the game progresses. All of these characters have a complex past and strong, personal desires. The new faces you meet along the way will become more and more complex as the story goes on. Eventually, you’ll become unsure as to whether the characters of Demon’s Souls’ intentions are pure or if something sinister is at play. After a substantial amount of deaths, you will start to realize that every boss has blind spots and weaknesses. You can devise strategies to use against them or choose to learn their patterns and hope for the best. 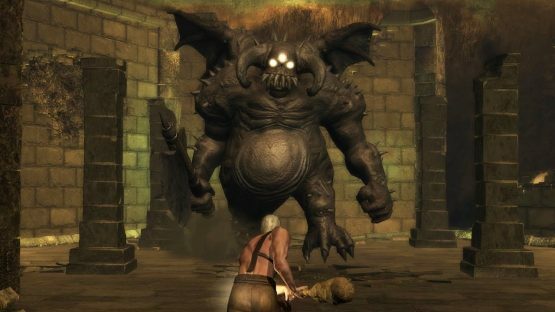 However, there are several bosses that the player can deal with in unique ways, as well as others that can only be encountered after specific requirements have been met. For example, in the third world called Tower of Latria, you will meet an enchantress called Fool’s Idol. She isn’t that difficult to beat, but when her HP bar drops to zero, the “The Demon Was Destroyed” message won’t pop up. Instead, you will hear the sound of someone laughing. Fool’s Idol will recover and immediately start attacking you again. The voice sounds familiar, because it belongs to a prisoner you might have met before in the area. At first he tells you not to kill him—he’s just a poor guy. However, after the battle against the enchantress, you’ll realize that he was a liar. He told you he was just a servant, and he sounded like a nice person. If you hit him, he would start shouting and asking you to stop. The game tells you the connection in a natural way, and it’s your job to connect the dots. 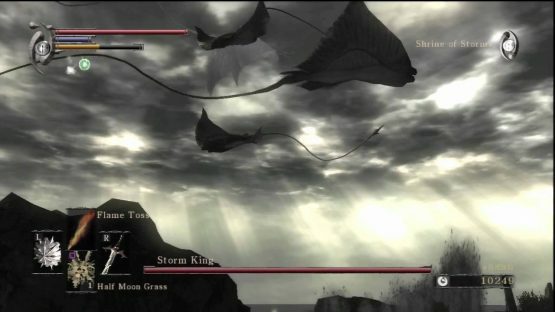 Another boss with an interesting mechanic is the Storm King—a freaking flying manta, surrounded by smaller flying mantas. If you’re running a a melee-only build, you’ll be in trouble here, as you can’t hit them from the floor. However, if you keep exploring the zone, you’ll find an attractive sword called “Stormruler.” Its description reads: “…in an area with ancestral spirits or a monolith forest, you may be able to see its past sky-cutting power.” Reading this will make you realize that you actually have a chance. If you press the strong attack button, you’ll start to split the air with small hurricanes. It’s beautiful. So the cops knew internal affairs were setting them up? The story and lore in Demon’s Souls—and in every other Souls game—are complex issues. Many players will finish Demon’s Souls and feel scammed or confused. The final boss, a crawling, suffering creature that you can kill with a few hits doesn’t help much, either. I’ll be honest with you: I felt a little let down when I completed my first playthrough. That was the ending? What the hell happened? I suffered for 60 hours for this conclusion? It wasn’t until I began New Game+ and started paying more attention to everything that I began to stitch the story together. For those who have never played a game in the Souls series, keep in mind that the storytelling isn’t conventionally straightforward. The adventure begins with a narrated introduction. Next, you will see a bunch of cinematics of bosses and significant events. 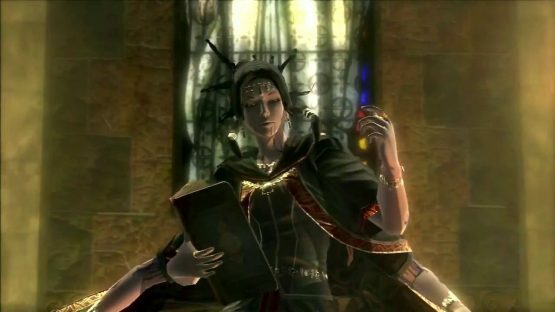 However, you’ll never have the narrator’s help again after this.There are only three ways of gathering intel about the corrupted lands of a Souls game: reading item descriptions, having conversations with NPCs, and exploring the game in order to come to your own conclusions. Nothing more, nothing less. It’s your job to fill in the gaps. I know that to many people, making the player come to their own conclusions may just sound like lazy design. However, I strongly believe that Demon’s Souls’ fragmentary narrative is an innovative and fresh way of constructing a game world. If you pay attention to the game and remember the introduction, you’ll understand the ending and the destiny of Boletarian—the main location—without any issues. You are told that King Allant awoke The Old One, the most powerful demonic entity the world has ever seen. He did this in order to secure the city, but naturally things went to hell and back, causing corruption to spread across all of Boletarian. 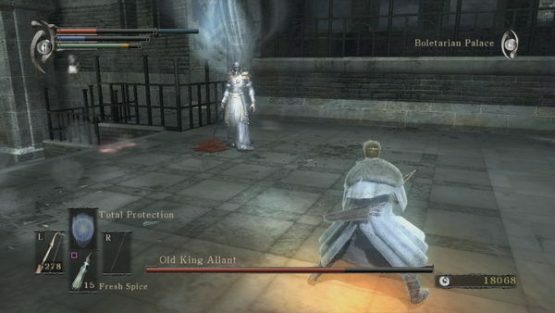 What you fight at the end of the story is none other than Allant himself. His body has been drastically changed by The Old One, as his boss title tells you. You may feel confused at first, as you’ll have already beaten him in Boletarian at this point. However, that Allant was an imposter. 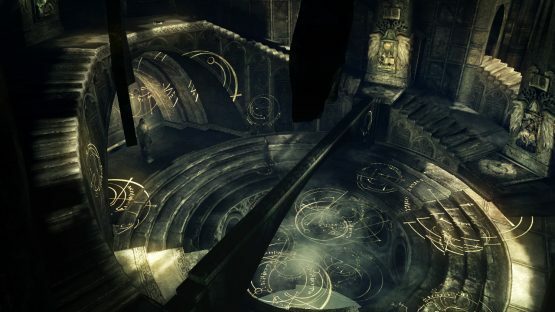 All of the information you need to decipher the game’s narrative is scattered across the world of Demon’s Souls. Its item descriptions, dialogue, and environmental design contain implications of the game’s true story. It’s your job to fill in the gaps by gathering this information and stitching it together. It’s your job to see through the darkness.